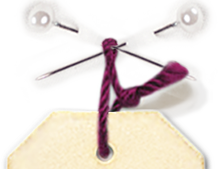 Online sale of sewing and knitting patterns. Would you like to offer our sewing patterns for sale in a real shop or online? Nothing more, simple: create a professional account to access our rates. You are a professional dressmaker and wish to sell your creations from our A&A sewing patterns ? All you need to do is to create a professional account (if you are an auto-entrepreneur, you do not need a VAT number). You will benefit from 10% on many products, including sewing patterns. Then join our commercial licensing system: discover it here and be on the list! We offer new sewing workshops from our A&A sewing patterns . Nadine offers workshops in Nantes for beginners, intermediates or advanced learners in a cosy and pleasant setting: in the famous Henry&Henriette shop.